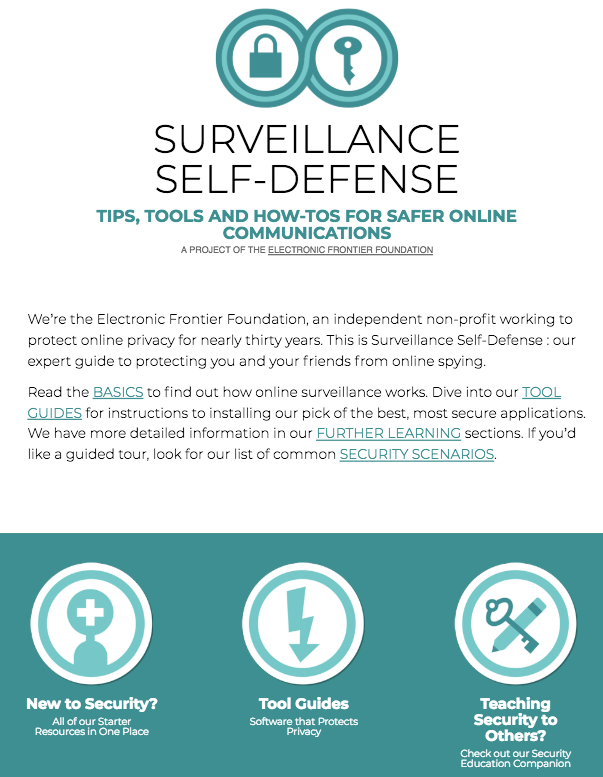 Surveillance Self-Defense (SSD) is a guide to protecting yourself from electronic surveillance for people all over the world. Some aspects of this guide will be useful to people with very little technical knowledge, while others are aimed at an audience with considerable technical expertise and privacy/security trainers. Read the BASICS to find out how online surveillance works. Dive into our TOOL GUIDES for instructions to installing our pick of the best, most secure applications. We have more detailed information in our FURTHER LEARNING sections. If you’d like a guided tour, look for our list of common SECURITY SCENARIOS.